In the past it was completely necessary to have a separate mobile version of a website as w ell as having the original site. But now a days things are different and it is now a lot easier to have one site that serves lots of different purposes. This is called responsive web design. When a user changes from their desktop computer to their IPhone they want to be able to see the exact same content they saw on their computer, on their IPhone. 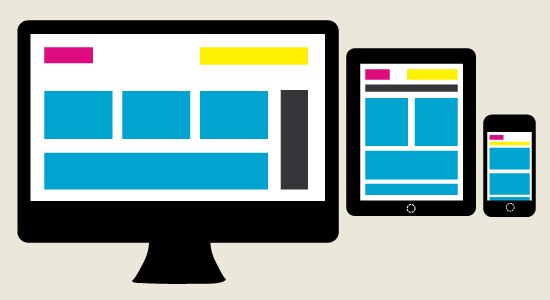 A responsive website will change the way the site appears and change the layout depending on the size of the screen the site is being displayed on. These responsive sites can usually be designed to make page text larger and much easier to read on a smaller phone or tablet screen. Many are also configured to make it easier to click buttons and tabs on the sites menus. Sites can also be formatted to hide information or even bring up completely different information as well as changing images and colours. Changing your site to a responsive site doesn’t have to be expensive either and in a lot of cases an existing site can just be upgraded to be responsive.